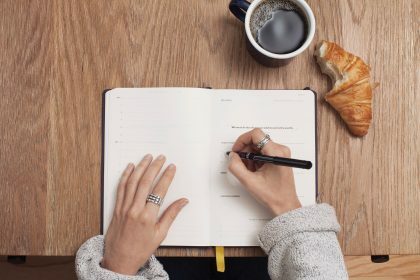 What’s it like to start a blog from scratch with no experience? 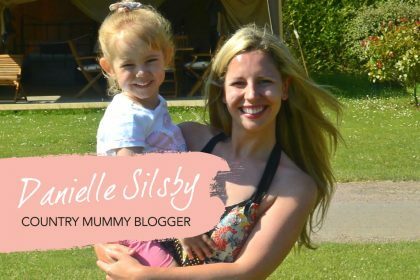 To find out, we track a mum’s blogging journey right from the start. Over the past two years, we’ve interviewed many mums who earn a living from writing a blog. Usually, by the time we speak to them, they’re already a success. But they all started somewhere. How will they find out about my blog? How do I even build one in the first place??! After months of nagging her to do it, our fashion editor Karen Skagerlind launched a blog earlier this year. Karen has no writing experience (other than the articles she writes for us) and is distinctly un-techy, and we reasoned if she could get a blog up and running, anyone can. So we asked Karen to share her experience of giving birth to a blog with us. Here’s her story so far. 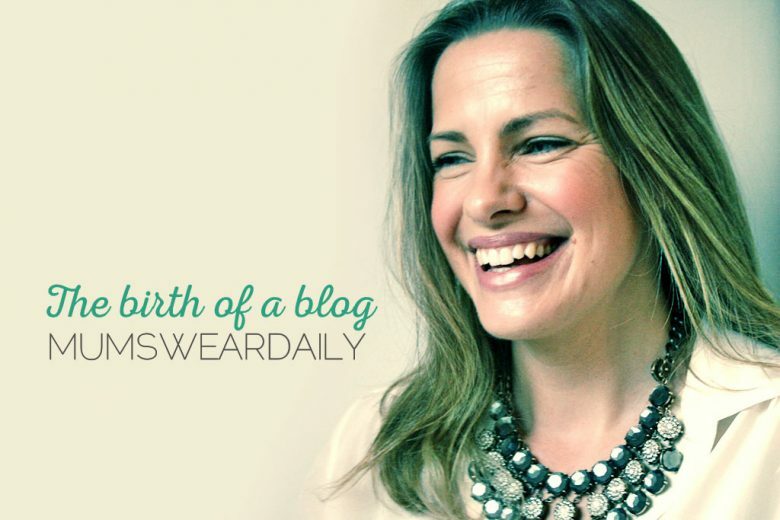 As I write this, I’m now just starting the fourth month of my blog, mumsweardaily.com. I’ve been asked to chart its progress and am putting it out there so you can see how it goes – and whether it becomes a huge success, or just remains an indulgent hobby. We are all used to seeing blogs that have already made it, usually after posting for years, but everyone started somewhere and now I have. If you have a yearning to start a blog I hope this article makes you at least try sooner rather than later. First off let me answer the question everyone asks. Over the past couple of years I’ve written a few style articles for Talented Ladies Club, and was told by co-founder Hannah Martin (a professional copywriter), that I had some talent for writing. I often waxed lyrical to her about all things style-related and she would say ‘start a blog’! And with that encouragement the seed for my blog was sown. I had also launched my styling service Wardrobe Wand and wanted to reach out to more people with ‘accessible’ styling advice. Writing a blog seemed like a natural progression and also a way to promote the business to boot. I’ve always been passionate about style and I wanted Wardrobe Wand to be an approachable service. Most of my clients are over 30 and/or mums, so I could relate to their needs and lost sense of personal style after having children. I understood that once children came along, often the contents of a mum’s wardrobe just wasn’t a top priority, and instead had become neglected under the inevitable never-ending to-do list. I’d read plenty of blogs of stylish mums over 40 and those dissecting school gate style, and knew I needed to to stand out in some way. 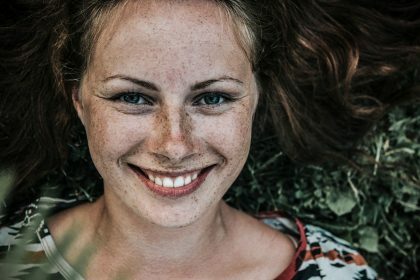 So how would mine be different, and what problem would I be able to solve for my potential audience? What did I wear on a daily basis and what style tips could I pass on from my own wardrobe? I would do a daily, authentic blog and translate what I was wearing into an outfit builder, formed of items currently available and as close to what I was wearing as possible, to give other mums daily inspiration. I would then show links to my chosen products so it was easy to shop at a click of a button. Practically becoming a virtual shopping buddy! As a former fashion buyer and sought-after stylist, I would also use my expertise and industry insights to critique the latest items in high street stores, and tip-off mums on what items would make it off the catwalks each season and into the wardrobes of the everyday woman. I’d be a realistic fashion adviser, spotting the must-buy items in the stores they love to shop in, and warning them of the false bargains that are likely to end up in the charity shop bin. Being real time and honest was also important to me. I wanted my readers to see me whatever the weather – with no hair or make-up stylist on hand, pictures taken on a mobile phone (sometimes by my five-year-old daughter! ), just as I actually looked on that day. That was my USP (unique selling point). Where other bloggers would share their fashion wish lists, show off their offspring in gifted outfits or use scheduled pictures from a ‘styling’ session, I would aim to be authentic and show a total look with my tried and tested wardrobe items, as well as any new additions. While I LOVE fashion, and update my wardrobe regularly, it’s not as often or as exclusive as people expect. I’m more of a high street shopper, searching for designer-inspired pieces or classic items that scream longevity. And while I do own some designer items, they are investment pieces such as a leather handbag or sunglasses that I’ll wear year after year. I’m not a fashionista travelling from one fashion week to another, I’m a mum of two primary school age children living in a small town the South Coast and wanted my blog to reflect this. It was also important to ensure that my blog wasn’t London-centric. I make sure I feature accessible stores and brands, including those with an online presence – places most mums can shop at. So John Lewis (so you can click and collect at Waitrose), M&S, Zara, H&M and TK Maxx are mainstay resources for my outfit builder. Once I had a firm idea of what I wanted my blog to be about, I needed to consider a name and how it would actually work. Initially I planned to post every day – a live, real-time picture of my wardrobe. But then common sense prevailed and it became a weekday, term time offering, so that I could get some sartorial respite and dedicate the rest of the time to the family. I’d also be much more likely to carry it on if my posting plan was realistic. The next thing I needed to choose was a name. Okay, so it had to have ‘mum’ in the title as that was my target audience, and a word relating to fashion so it was obvious what the blog was about. After a lot of thought and inspired by both the US fashion bible Womensweardaily, and The Daily Mail app (my guilty pleasure) I came up with mumsweardaily.com. I wanted a blog I could update and manage myself, so needed a user-friendly system. Kary Fisher, co-founder of Talented Ladies Club and uber-talented freelance illustrator and branding expert, had recommended Weebly for my Wardrobe Wand website, so I decided to use their blog package. I’m very far from a technical genius, but I managed to build my blog myself, and find it reassuringly easy to navigate. And so my New Year’s Resolution of ‘Start a Blog’ finally became reality on the 7th January, when the children had gone back to school. Once it was live, it was a case of proving to myself that I could actually diarise my outfits daily, Monday to Friday. Of course I had my concerns. Will people find it and read it, let alone enjoy it and click onto it regurlarly?? I advertised its launch on my Wardrobe Wand Facebook page and waited for the stats. I had 45 page views on the first day and now, three months in, it averages over 300, with approximately 40 unique visitors each day. It may seem small fry compared to big, established blogs but for me it’s growing and that’s what counts. 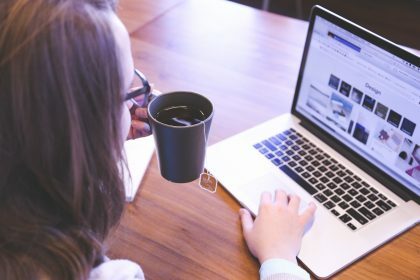 To give my blog the best chance of success, I need to make sure Google knows it exists – and this means being SEO savvy. Having read the Talented Ladies Club article on writing SEO copy for your website, I understood the principles of getting it right. Personally, I’ve found simple is more successful so far. My most-read posts have been titled ‘End of term break’, ’The Skinny… scarf’, ‘Bank holiday outfit’ and ‘Bucket bags’. Terms that you would type in to search engines readily! 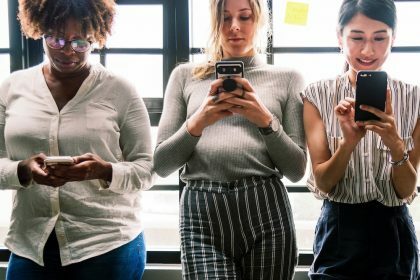 I also joined the Mumsnet bloggers network, as it’s obviously aimed at my viewer profile, and Mumsnet quickly became my second largest referring site after Google. I won’t show my children. I won’t recommend anything I wouldn’t buy or use myself. When I worked as a buyer it was my selection that the shoppers bought into, and I look at my blog as virtual procurement! I won’t take photographs of me on a planned styling session – all photos will be authentic come rain or shine, on a bad hair day or otherwise! So what are my future goals for my blog? Well I actively need to promote it. I need to read more blogs from the competition and like and comment on their sites. I need to drive more traffic to my site and read more tips and articles on how to be a successful blogger. I also need to monetise and align myself to brands that will ‘gift’ me products or advertise on my blog. And finally, I want to make mumsweardaily.com the go-to blog for daily styling inspiration for mums around the UK (and beyond)! Will I reach my goal? It’s too early to say. But I’m certainly confident I have the enthusiasm and tools to do it, and am enjoying the journey so far. So watch this space! How to turn a beautiful blog into a profitable business. The six ingredients you need to start a successful blog. 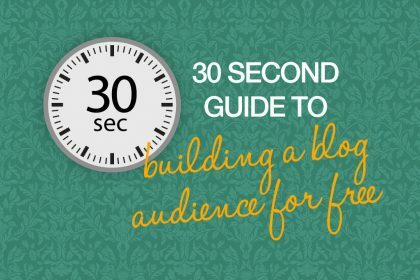 Your 30-second guide to building a blog audience for free. Want insider fashion tips and realistic daily style advice aimed at mums? Read Karen’s latest blog here.